Cut the chains to release the colored balls toward the urns using gravity, physics and timing. 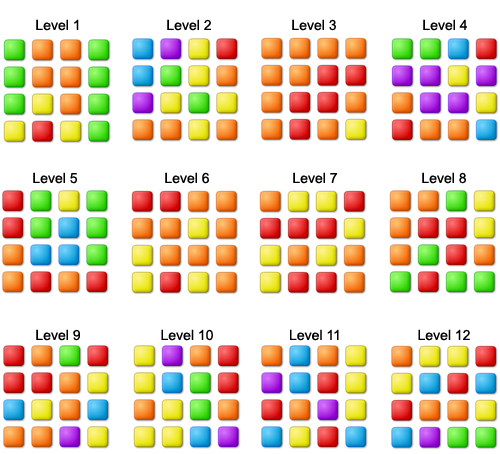 Connect all of the blocks by their colors. Do this by rotating and flipping the grid.